The number of people visiting the UK on holiday fell in 2018. This was contrary to predictions and bucked the global travel trend, which saw worldwide international arrivals increase 6% year on year. The figure for worldwide arrivals has reached 1.4 bn, two years earlier than expected, according to the United Nations World Tourism Organisation (UNWTO). In contrast, the UK saw a decline of 5.3% in overseas tourists and a 2.3% fall in spending, despite earlier suggestions that a record year in 2017 would continue into 2018. The drop in inbound tourism to the UK has been attributed to a fall in interest among Europeans, who account for two-thirds of overseas visitors. Research by VisitBritain showed that interest in visiting the UK since the Brexit referendum fell from 76% in August 2016 to 69% in autumn 2018. Patricia Yates, a director at VisitBritain, predicted that visitors from Europe will continue to fall in 2019. In response, the organisation is launching a campaign called Friends of Europe, aimed at reassuring Europeans that they will receive a warm welcome and that Britain represents good value. Yates said that, despite the fall in the value of the pound, the UK is still seen as an expensive destination. Combined with uncertainty around Brexit, it means forward bookings are “very difficult”. Globally, tourist arrival figures were highest in the Middle East (up 10%), Africa (up 7%), Asia and the Pacific, and Europe (both up 6%). The Americas were below the world average (up 3%), with Central America and the Caribbean seeing a fall of 2%, reflecting the impact of hurricanes Irma and Maria in late 2017, according to UNWTO. Growth has been driven by stable fuel prices, improved air links between destinations and strong outbound travel from emerging markets including Russia and the Middle East and some smaller Asian and Arab countries. Outbound travel by UK residents saw growth in spending, up 4%, with an increase in travel to non-eurozone countries, such as Egypt and Turkey. 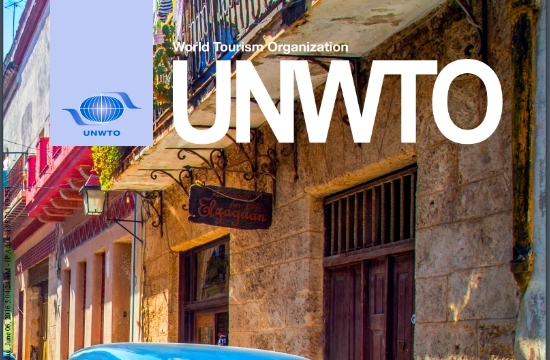 Looking ahead, the UNWTO said 2019 global arrivals are likely to drop back to 3%-4%, in line with historic growth trends, as global economic slowdown, uncertainty around Brexit, and geopolitical and trade tensions cause a “wait and see” attitude among investors and travellers. The global figure is based on data reported by destinations around the world and measures arrivals that include an overnight stay. With an increase of 6% in tourist arrivals around the world, 2018 was the second-best year since 2010, following a strong 2017, which saw a rise of 7%. “The growth of tourism in recent years confirms that the sector is today one of the most powerful drivers of economic growth and development. It is our responsibility to manage it in a sustainable manner and translate this expansion into real benefits for all countries and, particularly, to all local communities, creating opportunities for jobs and entrepreneurship and leaving no one behind,” said UNWTO secretary-general Zurab Pololikashvili.